Scope of Project: Supply fabricate and surface treat and transport to site 2 pedestrian bridge girders each @ approx. 33m long. Innovative methodologies: By fabricating the 60 metre long bridge in 1 section (before we then separated it into its two sections), we were 100% confident of the correct fit up on site. This was obviously critical due to the size and cost of the lifting and access equipment on site to install the members. Technical challenges: The fabrication of this job went very smoothly due mainly to the synchronisation of our drafting with the fantastic service we received from Pipe Profiling services in Queensland and the staff at PPS even helped us to develop a sound methodology for fabrication. We seriously didn’t need to touch these pipes, they were cut so accurately. Not bad considering the multiple pipe connections, complex cuts and allowance for the pre-cambering of the main 3 stringers. 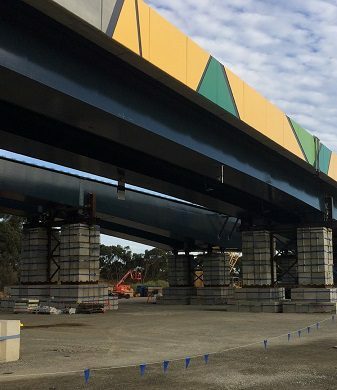 Coating details: Painting these large sections was achievable through the use of our blasting and painting facility, 33m long sections completed undercover in a purpose-built coating facility. Coating system included a full blast and 3 coats with an automotive grade top coat finish, paint mapping and detailed testing/recording. Successful outcomes: Very highly scrutinised fabrication, welding and surface treatment procedures all completely satisfying our client and the principle DTEI. Quality plans and ITP were completed with little fuss in a professional and detailed and accurate manner. 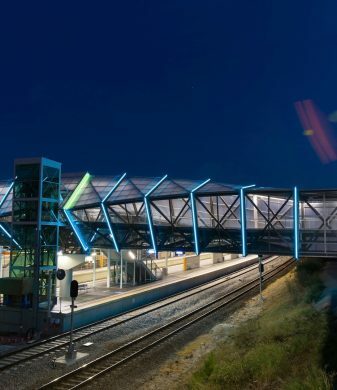 Precision Pays off: manufacture technique was critical to achieving success on this complex project. 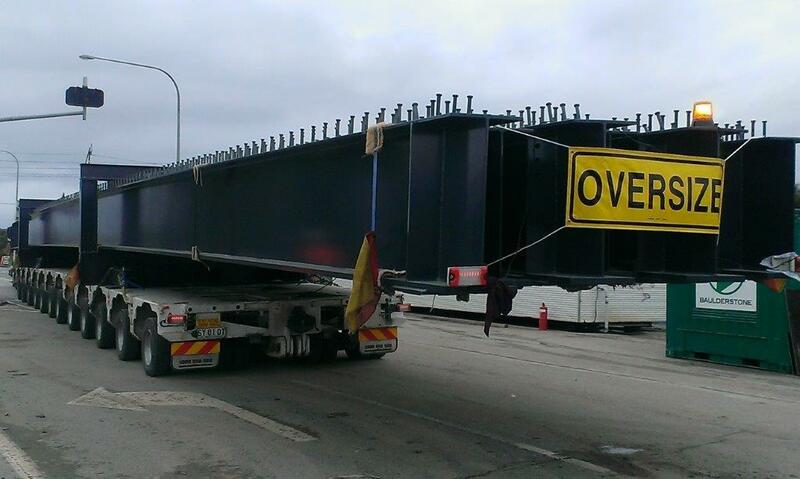 We saved Majors Road Bridge project $100K with a custom transport solution.